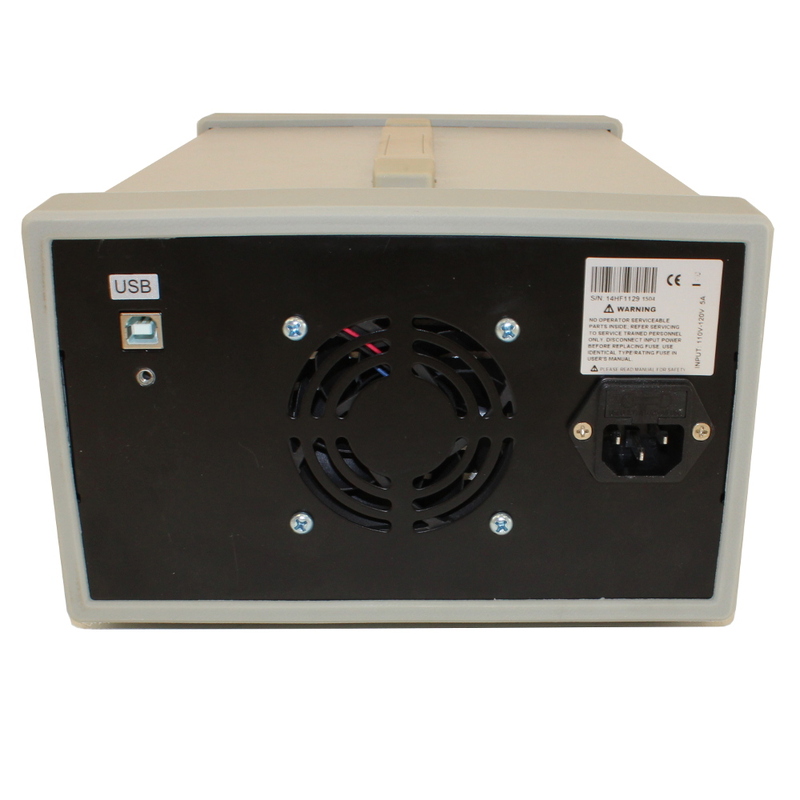 Originally the Hantek PPS2320A, Circuit Specialists now sells this great value DC power supply directly. This is the identical product from the original manufacturer, so you get the same great product at an even better price, shipped & supported from the USA! 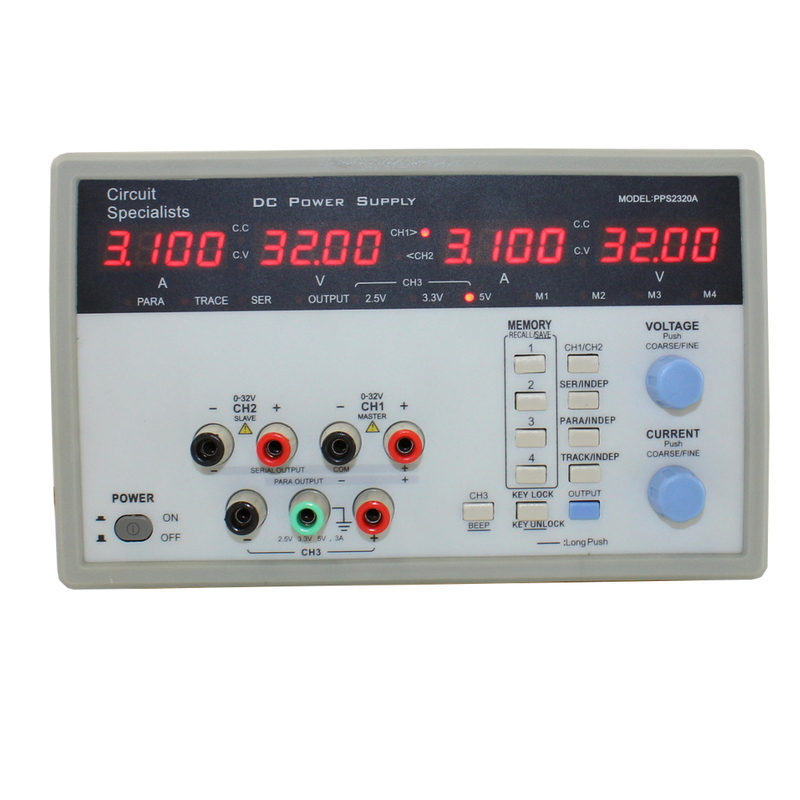 This 3 channel benchtop power supply is a mult-functional programmable power supply featuring 2 variable outputs that can supply 0-32V at 0-3 amps and a third, fixed output channel that has user a selectable out of 2.5V, 3.3V or 5V with current levels from 0-3 amps available. This lab grade product boasts all digital controls from the front panel and, for additional options, may be controlled via PC interface. Additionally, this model has an automatic, internal cooling fan that activates under high load conditions but it runs completely silent most of the time. 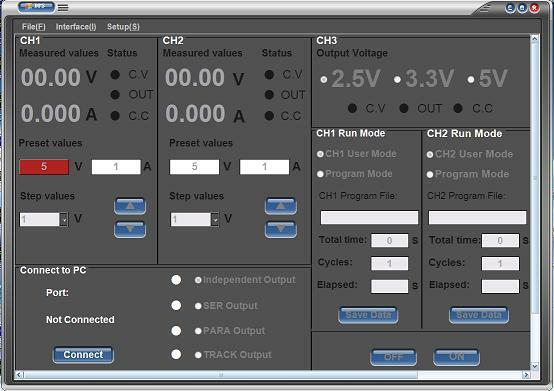 There are 5 presets and a user configurable stepping size. 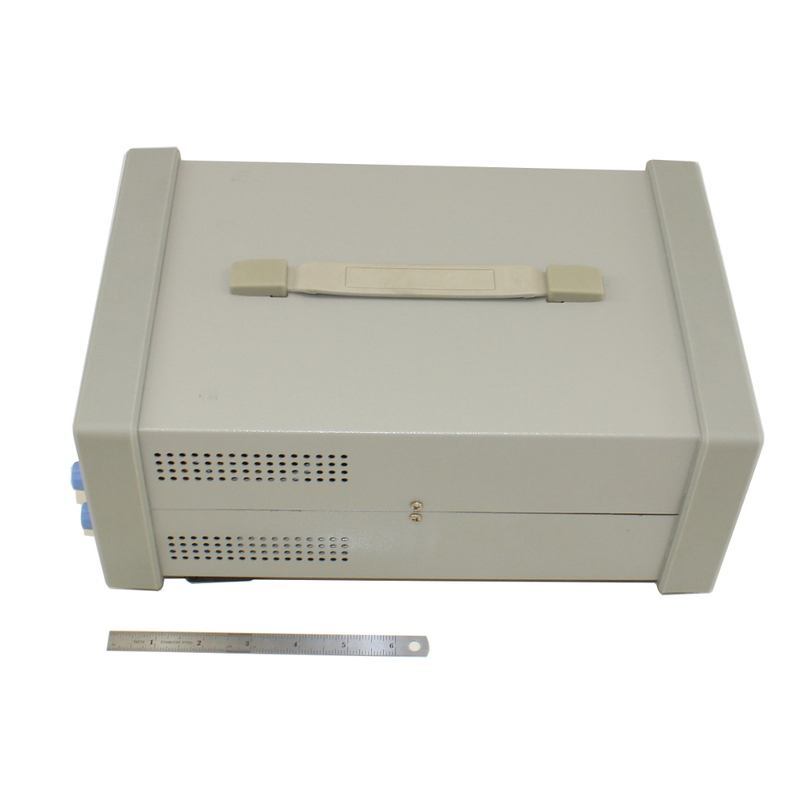 With its USB port, the power supply can be connected to a PC and the control software supports data logging. This is an image of the PPS2320A's PC control screen in the included admin software, see the below video for additional images and an explanation of the PPS2320A's operation. 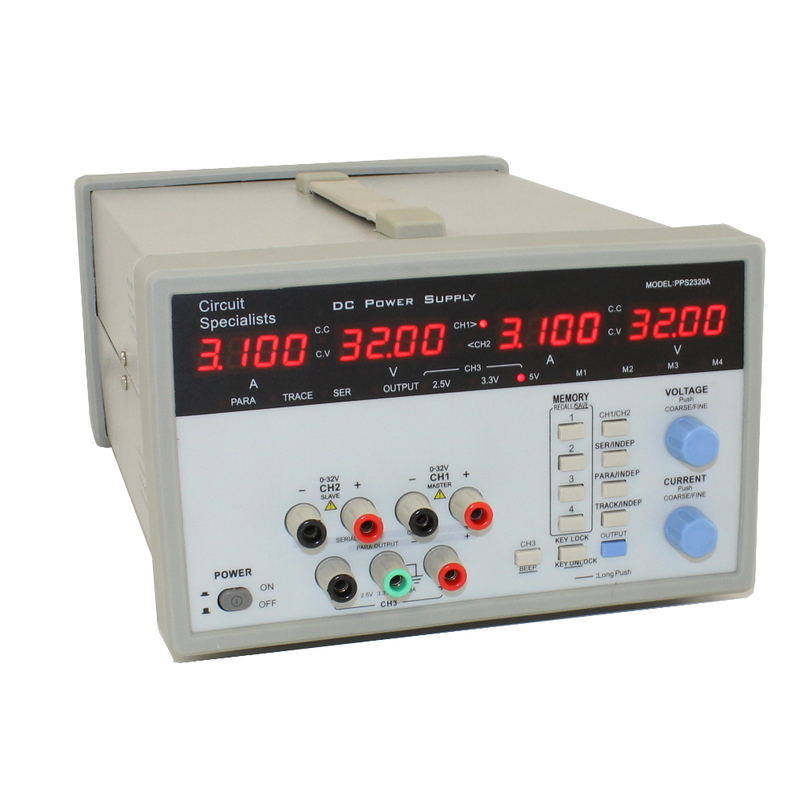 For a multi-function DC power supply that is priced as low as the PPS2320A, this unit is very solidly built and full featured. For example, the transformer is a shielded toroidal unit that supplies power to all three channels. In addition to the internal fan, there are separate heat sinks for the higher powered channels 1 and 2. Each also has an over temperature switch, 2 power devices per channel, a bridge rectifier and a single device to thermally control the internal fan when necessary. The front panel voltage and current level controls are clear and, with the large digital display for channels 1 and 2, easy to set. Knobs are are speed sensitive, for fine adjustments: a slow turn adjusts the lowest digit, turning faster makes larger setting changes. Additionally, 4 programmable memory buttons recall voltage and current settings for either channel when selected. There are 6 different configurations available: constant current, constant voltage, software control, parallel (double current), serial (double voltage) and split rail (both negative and positive voltage). 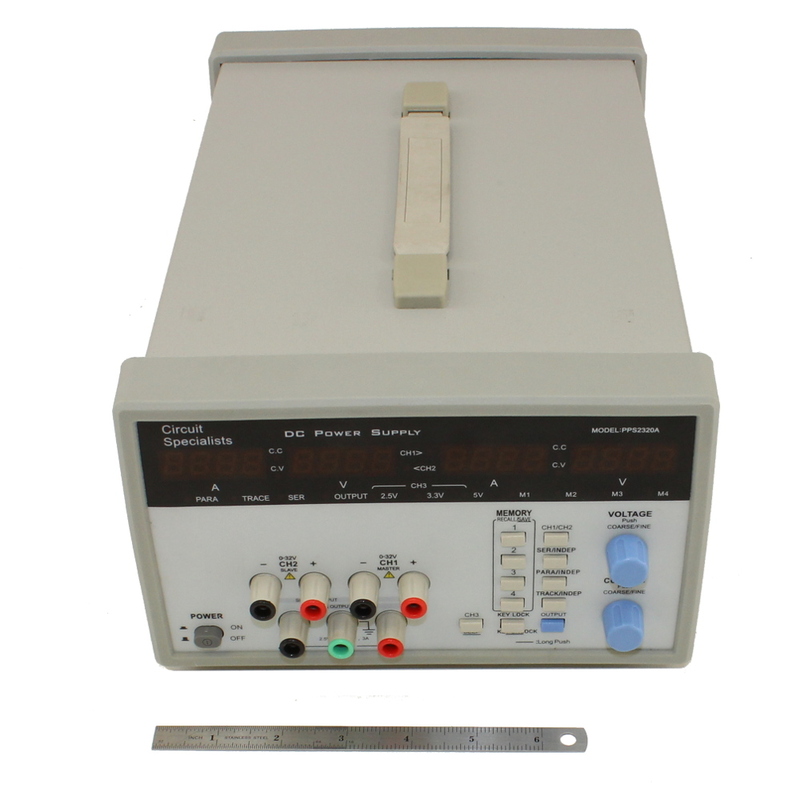 For more information, refer to the Circuit Specialists PPS2320A Owners Manual. 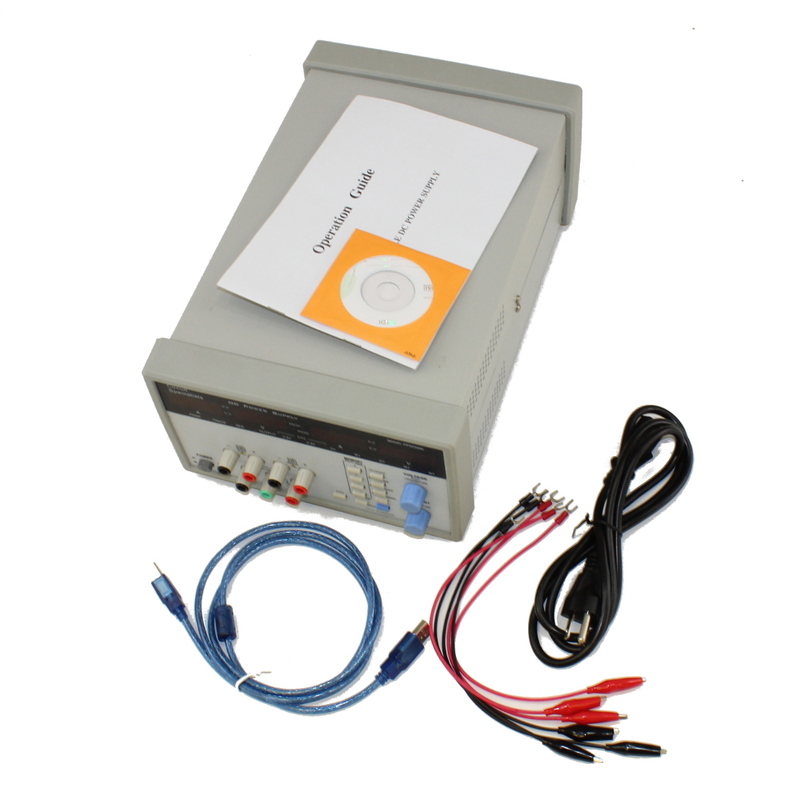 To get started programming the PPS2320A, refer to the use the original 2320A's driver software. Here is a third party review of the PPS2320A power supply. Download the Windows 7 and earlier control software. Here you can download the control software revised for Windows. This is the original PPS2320a driver CD in ISO format. Here is a rundown of the Hantek Control Communications Protocol.